GeogSplace: Water is the question! In this blog task you are to explore the issue of water as a resource. In particular, to focus on the nature of water in Australia and the issues facing the sustainability of water supply and quality in South Australia. In short, to explore the social, economic and environmental consequences of human interaction with the resource and possible sustainability solutions. As a South Australian you should be particularly interested in the importance of the Murray Darling Basin and the continued health of the River Murray. * Highlight and argue the extent of water supply and importance of water as a resource globally and to the Australian people. * The nature of water supply and scarcity in Australia. * Sources of water in Australia, in particular using the case study of the Murray Darling River Basin. 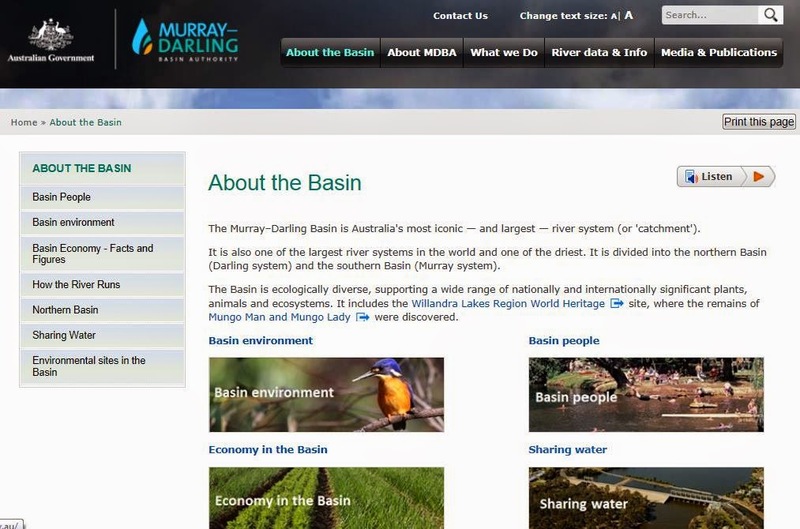 * The problems facing the Murray Darling Basin. * What are the alternative views on how the Murray River can be managed to be sustainable into the future? * How can Adelaide be made sustainable in terms of water supply and usage?